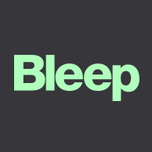 50% off all Warp downloads at Bleep. That’s probably not a sentence. The original of this was very good (IMO). Note for cassette wonks there is a limited edition that sounds worse than all the other options. Christ on a bike, 4 cassettes left out of 100. Some people will buy just anything. My son in law’s new band. Couple of crackers released so far this month. Iceland’s entry for Eurovision this year, Hatari with a song called ‘Hate Will Win’. Supposedly an anti-Israel song, which should be fun giving that it’s taking place in Tel Aviv this year. Industrial techno EBM i think you could call it? Will probably finish either first or last. Unexpected Monday morning treat in a lush soundscape. Son #1 still recovering from this! That Pontins in Southport is the pits, in fact most of Southport is the pits. Think Southend with Scousers and you are there. Haha Bangface! Been aware of them for a while, but not been to one. Don’t take themselves too seriously, methinks. I bet he had a blast. I don’t mind Lord St, but I was there on Saturday and it wasn’t great in the wind and pouring rain. Did manage to catch Tornado(Steam Locomotive) doing 70 through Wigan Station on the way home which made up for it. Is that record shop round the back of M&S still there? The old chap who owned it died and his son was trying to get to grips with the sheer scale of his hoarding the Last time I was in there about a year or so ago. Not been down there for a few years so not sure. Parkinsons the second hand book shop with some vinyl is still there but it looks like the owner has retired, passed on or sold on as there was a much younger chap in charge. It looks like he is about to re-shelve/tidy up everything. Lots of new shelving in the alleyway. How much mixtapes have moved on.